REDWOOD CITY, Calif. — Ted Kramer seemed on edge. While sitting at a Starbucks recently talking to a reporter, he kept looking over his shoulder mid-conversation, scanning people and cars passing by. Facebook says the surveillance claim is "absolute fantasy" and denied monitoring Kramer. While Kramer's concern sounds far-fetched, it's far from the most bizarre thing about his lawsuit, which has prompted an investigation by the British Parliament and shows no sign of resolution. The David vs. Goliath contest pits Kramer's small startup, which in 2013 built a short-lived app to identify Facebook photos of users' friends in bikinis, against one of the most powerful technology companies in the world. Six4Three sued Facebook in 2015 in state court in San Mateo County after Facebook restricted Six4Three's access to the user data that its app, called Pikinis, and thousands of other apps, relied on to function. The case started small, and initially attracted little notice beyond tech blogs, but it has grown into a massive headache for Facebook. Over the course of the case, the social media giant was forced to turn over thousands of pages of internal documents, which show Facebook's years-long efforts to control its competitors by sharing or withholding Facebook user data. The documents — some of which were published by Parliament last year and more of which were recently obtained by Duncan Campbell, a British journalist who shared them with NBC Newsand other media outlets — show how Facebook publicly described its decisions as driven by user privacy concerns, while the company was actually focused on threats from competitors. "It's like we are fishing in this tiny boat with no one else around and we somehow managed to hook a massive great white shark on our line," Kramer said in his first extensive public comments on the case, a lengthy emailed response to questions that were screened by his attorney. The emails were exchanged between meetings in San Francisco and Redwood City. "We've kept it on the line for four years and have been slowly but surely reeling it in," Kramer continued in one of the emails. "The more we reel it in, the more tricks it finds to try to yank itself off the line. But it's still on that line. It has almost tipped our boat over a few times and it may end up tipping the boat over very soon. But we will hold onto that rod even while drowning. We'll keep pulling that line in. We might go down, but the shark's coming with us." Facebook reiterated its view that Six4Three's lawsuit is "meritless" and in an emailed statement questioned the startup's claims about what the internal documents show. "As we've said many times, Six4Three — creators of the Pikinis app — cherry-picked these documents from years ago as part of a lawsuit to force Facebook to share information on friends of the app's users," Paul Grewal, Facebook's deputy general counsel, told NBC News in a statement. "The set of documents, by design, tells only one side of the story and omits important context. We still stand by the platform changes we made in 2014/2015 to prevent people from sharing their friends' information with developers like the creators of Pikinis." Facebook has publicly painted Six4Three as an unsuccessful company that sought to exploit the same privacy vulnerabilities in Facebook's platform as the data-harvesting boogeyman Cambridge Analytica. But some experts believe the significance of Kramer's lawsuit goes far beyond an app that might be viewed as unsavory. "Ted is at the center of one of the most important questions of our decade: How can personal information and privacy be used to harm competition?" said Ashkan Soltani, who previously served as the Federal Trade Commission's chief technologist and is now an independent privacy researcher based in Oakland, California. Still, Kramer's crusade has found few public allies in the tech industry. 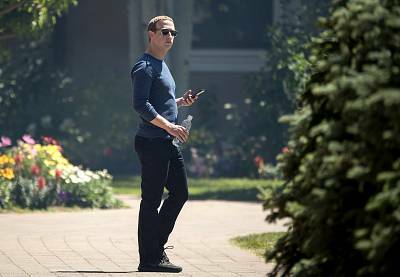 At least half a dozen prominent investors and startup founders told NBC News in private conversations that they're rooting for Six4Three, but that they would not say anything publicly that could harm their relationship with the social network. As a result of the lawsuit, Kramer fears becoming an outcast in Silicon Valley. But his goal has not changed: to put Facebook's entire business model on trial — particularly what he views as the company's bait-and-switch of offering Facebook user data to apps like Pikinis and then removing it. "This is all because I am standing up for what is right and trying to hold Facebook accountable for its fraud," Kramer said in an email, "something state and federal governments should have done a long time ago." Six4Three's legal case is relatively simple: The startup alleges Facebook never gave it a fair chance to compete. Six4Three argued in its 2015 complaint that it created a business model in 2013 based on Facebook's promise of access to user data under a system known as the "Graph API." From 2010 until April 30, 2015, the Graph API gave all Facebook apps access to a vast dataset of not only individual users, but their friends as well. This trove included private messages, check-ins, events, locations, relationships, and, crucially for Six4Three, photos. Six4Three's app, Pikinis, and thousands of other apps of that era, such as Tinder and Vine, were predicated on having relatively easy access to Facebook user data. But then, in April 2014, Facebook announced that it would make the Graph API far less permissive, removing apps' access to the data. All older apps were given a year to retool. Six4Three sued on April 10, 2015, 20 days before the older version of Graph API was shut down. In Six4Three's most recent amended complaint, filed in January 2018, the startup accuses Facebook of a "series of fraudulent and anti-competitive schemes" designed by its CEO, Mark Zuckerberg. According to leaked documents from the Six4Three lawsuit, Zuckerberg began efforts to shut down apps' access to user data in 2011 and 2012 — several months before Six4Three was founded. If Facebook had been transparent about those efforts, "then Six4Three never would have started its business," Kramer said. Among a long list of things that Six4Three has asked the court to impose is a restoration of the earlier version of the more permissive Graph API. That's something Facebook has vowed not to do. A Facebook spokeswoman noted that the Pikinis app had not even fully launched in the spring of 2014 when the company announced that apps' access to user data would be shut down. Kramer didn't set out to become Facebook's antagonist. In fact, he began his career as a baseball player. Kramer returned home to New York in 2007 and soon began working as a teacher. He later joined his high school friend Thomas Scaramellino's energy software company, Efficiency 2.0. After the startup sold to a larger company, Kramer joined WeWork in 2013 and oversaw the rollout of its co-working spaces to new cities across the U.S. and Europe. Shortly before starting at WeWork, Kramer attended a meetup group in New York focused on machine learning. He was "enthralled" by a professor's talk on visual pattern recognition software that could automatically classify species of birds. This fascination led him to found Six4Three in late 2012, using $250,000 in funding from Scaramellino. He built the company while employed at WeWork. Kramer said he didn't set out to create an app to find bikini photos — he initially wanted an app to find sports logos and other brand icons. The plan, Kramer said, was to use Facebook photos to train software that could do this. He chose to focus on an "admittedly low-brow" application as a provocative way to get young adults to consent to sharing their Facebook photos, he said. Pikinis soft-launched in 2013 and received some media coverage characterizing the app as "creepy." But Facebook received no complaints about the app while it was live, according to the leaked internal documents, and never sent Six4Three any notices of privacy violations, according to Kramer. "Facebook continues to tell the court and the media that it shut down Six4Three because it was a sketchy app and wanted access to data that Facebook had locked down allegedly for privacy reasons," Kramer said. "That is complete pablum. It's simply not what happened." 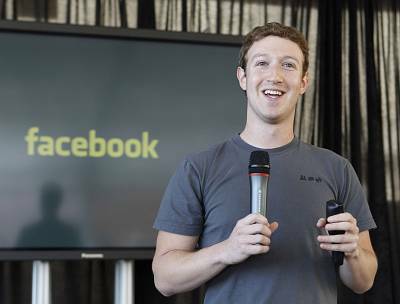 A Facebook spokeswoman told NBC News that the company did not mislead Six4Three or other app developers. "They claim that we promised developers unrestricted access to data forever, which is not true," the spokeswoman said. Facebook has previously noted that Six4Three attracted only $412 in app download sales. But Six4Three has had a tough time drawing support for two reasons: First, Pikinis is a hard app to defend, and second, few want to take on one of the largest companies in the world. Justin Brookman, a former Federal Trade Commission lawyer who is now the director of consumer privacy and technology policy at the Consumers Union, was blunt: "This app should not exist. I'm sorry." He added that while he agrees with Six4Three that Facebook's strategy should be scrutinized, the company does not make a sympathetic victim. Even Facebook skeptics may find reasons not to side with Six4Three, he said. "If Cambridge Analytica was suing Facebook for stopping access, I also don't think they would get allies, no matter how Facebook may be annoying or making bad choices," he said. "The enemy of my enemy is not always my friend." Kramer said that Six4Three has received supportive emails and phone calls from startup founders and investors. But few have been willing to publicly denounce the company over fears that it could jeopardize their relationship with the platform, according to both court filings and NBC News' private conversations with several founders. 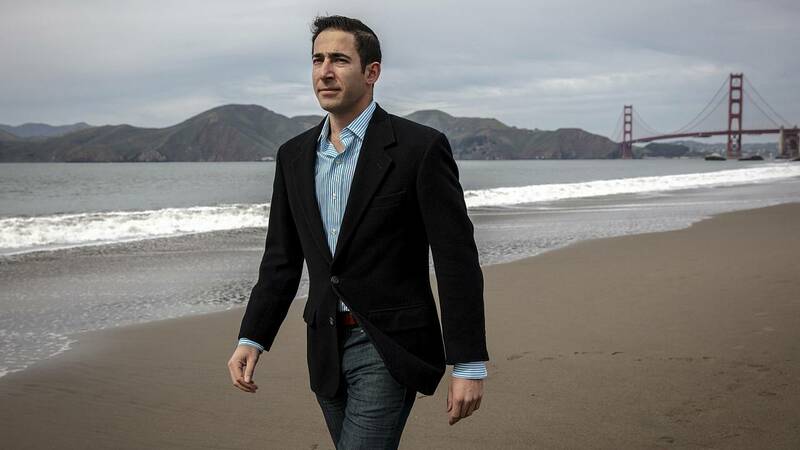 Ali and Hadi Partovi, the entrepreneur and investor brothers who co-founded the learn-to-code platform Code.org, for example, expressed sympathy with Six4Three in emails and depositions included in court filings. "Confidentially, Ali and I agree with a lot of this, and it was a very emotional and trying experience to bet our company on the Facebook platform, only to see the platform turn into quicksand and see our investment lose value overnight," Hadi Partovi said in an email to Six4Three's attorney David Godkin in August 2017 that referred to the difficulties the brothers had when their music startup iLike worked with Facebook in the 2000s. "However, given our personal relationships with Sheryl Sandberg and Mark Zuckerberg, I'm not sure we'd want to be part of a formal litigation effort," Partovi said. "We'd have much more to lose than to gain." In 2016, Facebook donated $15 million to the brothers' Code.org nonprofit. Hadi Partovi released a statement to NBC News: "While most people who bet on the early Facebook Platform last decade felt badly about the outcome, Facebook probably lost the most after investing in a platform that didn't live up to its potential. I trust that Sheryl and Mark gained valuable lessons and will draw on this experience in the future. I have moved on, and I'm sure so have others." A Facebook spokeswoman said of Six4Three: "The idea that they can't get anyone to join them because of personal relationships is ridiculous." Only a handful of startups affected by Facebook's platform changes have been willing to speak on the record about the case. "I'm not super excited to say that I'm going to get in the ring with Facebook, because I have a company to build and they have a lot more money than me," Nick Soman, the former CEO of the matchmaking app LikeBright and current CEO of health care startup Decent, told NBC News. Only one other startup — Styleform IT, a one-person company based in Sweden — has brought a lawsuit like Six4Three's. Filed in state court in San Francisco, that case's next hearing is scheduled for June. Facebook reiterated earlier comments that Styleform IT's lawsuit was "meritless." While Kramer and Scaramellino have been struggling to bolster their ranks, they have hurt their own cause. Months before Six4Three's lawsuit was set to go to trial in April 2019, Kramer angered the judge overseeing the case late last year after releasing a cache of sealed documents to a British member of Parliament. In the run-up to a business trip to London last fall, Kramer was given a series of parliamentary orders to hand over a set of private documents that were part of the ongoing Six4Three lawsuit. While Kramer initially said that he could not provide them as they were under seal by the court, he eventually complied. That decision set off a legal firestorm in California, particularly after the member of Parliament, Damian Collins, published many of the sealed documents. The San Mateo County judge hearing the Six4Three case called Kramer's release of sealed documents a "compromise of the integrity of our litigation system" during a hearing last month. Since the London episode, Six4Three's lawyers have tried to quit. Kramer and Scaramellino have tried to find alternate lawyers to represent Six4Three, but Kramer said that the first six firms they approached would not take on the case because of a conflict: They already count Facebook as a client. Facebook says the implication that the company has blocked Six4Three's ability to hire new counsel is "ridiculous." After NBC News contacted Facebook for comment on the documents leaked to NBC News and the Six4Three case, Facebook's lawyers wrote to the judge, claiming that Six4Three had leaked the documents to a "national broadcast network" and seeking to depose Six4Three's founders. Six4Three denied leaking the documents. Kramer is trying to build a new co-working office space startup, but he says the legal battle has left him on the brink of personal bankruptcy. "It means my new business is at risk, living in San Francisco is at risk, acting as a consultant is at risk, my reputation is at risk, finding employment is at risk," Kramer told NBC News. Nonetheless, Six4Three is pressing on. "The past few months have been extremely stressful," Kramer said, "but the way I handle that is by continuing to remind myself that I am doing the right thing, and giving up is not an option."